Adapt: The market changes quickly. Your internal processes need to meet those changes with little to no impact on operations. Respond: As the market transforms, so too will buyers’ behavior. Agility means being flexible and responsive to consumer demands. Ensure Quality: Even as your organization undergoes change, you’ll need to keep up both productivity and cost-effectiveness without compromising quality. Take an Advantage: Rather than viewing change as an obstacle, see it as an opportunity to refine and improve processes. The online marketplace is fast-moving, which is why business agility is even more important in eCommerce. You should always be on the lookout for ways to reallocate resources, streamline processes, and increase efficiency and responsiveness. It’s not easy to achieve, but agility is becoming more and more important. If done right, an agile approach can soak into every aspect of your operation and revolutionize how your do business. As an example, let’s look at the benefits of developing an agile approach to fraud management. Thinking about fraud prevention and management with a “one-size-fits-all” mentality is truly a dead end. Reliance on massive database solutions and general-purpose infrastructure for fraud management is rapidly losing its effectiveness, and thus is falling out of favor. Inefficiency: Tools designed to work for many different businesses will always involve features and applications you don’t need. That translates to wasted resources and revenue. Unresponsiveness: Each business is different, but a tool built without your unique concerns in mind can’t adapt. You’re expected to adapt to the tool, rather than vise-versa. Higher Headcount: You need dedicated staff to fill in the gaps and help adapt tools to your needs. That means you’re unable to allocate staff effectively. You can never really be agile with a strategy that’s not custom-built for your unique needs. It’s too rigid, too unresponsive, and doesn’t utilize your staff or other resources effectively. That’s why more and more fraud management departments are embracing a personalized approach to contending with fraudsters. Is your chargeback and fraud management system as agile as it should be? Speak with a consultant today and request a free opportunity analysis. Is In-House Management the Answer? If buying a prepackaged, “one-size-fits-all” fraud management solution isn’t the right way to go, does that mean in-house fraud management holds the key? Well, not necessarily. True, you’re not sinking time, money, and other resources into trying to make a predesigned solution work for you. However, you do have to develop internal processes and systems to prevent fraud, which can be incredibly inefficient, too—especially if your staff is inexperienced in this area. Rather than saving resources, you’re just spending them somewhere else. There are other drawbacks, too. Building an entire in-house fraud management process for your business means it can be intimately-tuned to your business’s unique needs. Unfortunately, you still have to operate as part of a larger payment ecosystem. By necessity, fraud mitigation tactics change constantly. We see rule updates, changes to legal frameworks, and/or new technologies every day. Each one affects the market, even if the change is not immediately visible. Some—like the Visa Claims Resolution initiative Visa rolled out in April 2018—have a profound impact on how merchants needed to handle their chargebacks. And that’s not even delving into new and developing threats. Every time there’s an update to industry policy or practice, it has the potential to present new vulnerabilities. Let’s face it: fraudsters are smart. They know how to manipulate antifraud detection practices and industry rules to their benefit. For example, take cyber shoplifting—a technique where the fraudster makes a purchase with the specific intent of filing a chargeback later in order to recover the purchase price but keep the merchandise. Cyber shoplifting is a threat that costs merchants billions of dollars every year...but ironically, it developed directly from industry rules and legislation meant to protect consumers from fraud. It seems like you have an “either/or” choice: either invest in costly, in-house fraud and chargeback management, or turn to an automated, outsourced solution that can never fully adapt to your needs. However, the answer isn’t to assume that it must be all one way or another. You don’t have to choose between the benefits of a custom-built, in-house solution, and saving time and money. You can have both. At Chargebacks911®, we recommend you handle what you can do effectively in-house, then outsource the rest. Take chargebacks, for example. 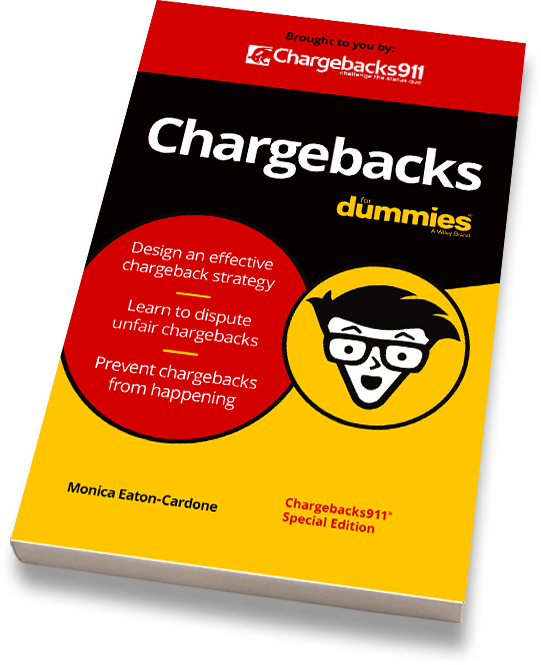 Chargebacks are a complex, post-transactional issue, requiring dynamic response and careful, individualized analysis of transaction data. Each case is different, and an automated solution isn’t going to work for a problem like that. At the same time, most internal teams have trouble managing chargebacks on their own because they don’t have access to the level of insight provided by broad, industry data. So, what can you do? The answer is simple: do what you can, then outsource what you can’t. We at Chargebacks911 work with your internal fraud management team to deliver the best results in the industry. Our Intelligent Source Detection® technology identifies chargebacks by one of three core sources: criminal fraud, friendly fraud, or merchant error. With ISD data, we can help you develop the right strategy for your business to see dramatic chargeback reduction. Increase Efficiency: No more time spent assembling cases, gathering evidence, or researching complicated and always-changing rulesets. Save Resources: Stop wasting time and money on a fraud and chargeback strategy that’s not working for you. Reallocate Staff: Develop strategies that make the most of your headcount by shifting employees from fighting fraud to growing revenue. Increase Net Income: Recover more revenue from disputes than ever before by applying the right strategies and tools. Ensure Sustainability: Lower your long-term chargeback issuances to prevent issues with your bank or with card schemes that might jeopardize your business. It’s time to embrace agile fraud and chargeback prevention with Chargebacks911. Ready to learn more? Click below and get started.